Angola’s ruling billionaire family. What happens when dad steps down? Isabel Dos Santos daughter of the president is reportedly Africa’s richest woman and heads up the state oil company Sonangol. IRIN. 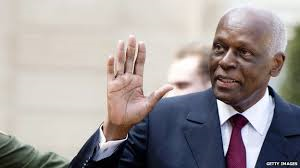 After nearly four decades in office, President José Eduardo Dos Santos is due to hand over power after Angola’s 23 August elections. After 38 years in power, Angola’s José Eduardo dos Santos finally looks set to step down from office. The president has stated his intention to relinquish power before. Many expected that when the time came, dos Santos would elevate one of his children to replace him. But instead, he handpicked Defence Minister João Lourenço to be his successor. 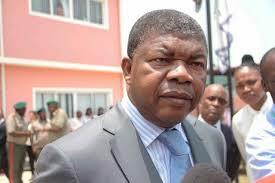 Lourenço has the backing of the ruling People’s Movement for the Liberation of Angola (MPLA). The pressing question therefore is of what will happen to dos Santos and his powerful family once he is no longer president. Over the past four decades, dos Santos has not only consolidated an impressive amount of political power in his hands, but also seen close family members become the leading players in Angola’s economy. It is well known that economic power in Angola is concentrated in the hands of a few. But the extent to which it is controlled by close members of the ruling family may come as a surprise. The dos Santos’ most famous business dealings are those of the president’s eldest daughter, Isabel dos Santos. 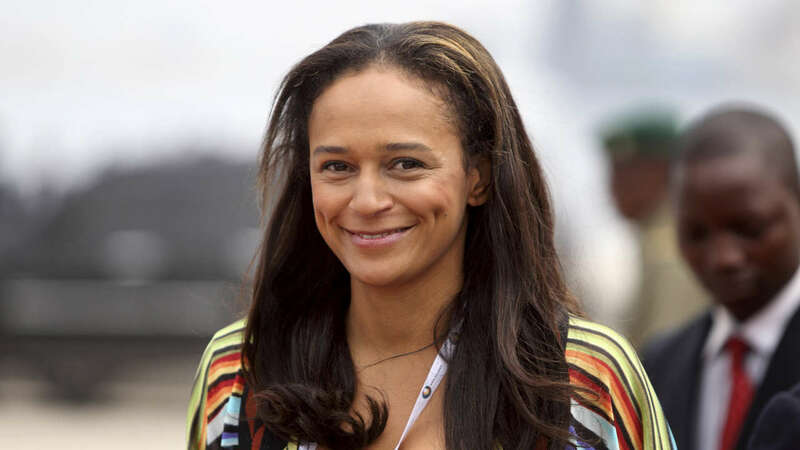 Africa’s richest woman, she currently heads the national oil company Sonangol, which forms the heart of Angola’s economy. She also has private interests in a wide range of other sectors, from telecommunications, to banking, cement and supermarkets. Whilst the majority of her businesses are based in Angola, Isabel is known to have sizeable investments overseas, most notably in Angola’s former colonial power Portugal. Jose Filomeno dos Santos, the president’s son, is also heavily involved in Angola’s economic life. He serves as chair of the country’s $5 billion sovereign wealth fund; he has been active in the banking sector since at least 2008; and he recently acquired 49% of Standard Bank Angola, which is part of South Africa’s Standard Bank Group. The president’s daughter Welwitschia José dos Santos Pego (Tchizé) and his artistic son Jose Paulino (Coreon Dú) are not left out either. Tchizé is a member of the MPLA central committee, a manager at state channel TPA 2 and shareholder in Banco Prestigio. Meanwhile, together, the two siblings run the production company Semba Comunicação, which has benefited from several multi-million-dollar contracts with the Angolan state. First Lady Ana Paula dos Santos, President dos Santos’ third wife, is a shareholder of Banco Sol and owns a number of smaller business ventures in Luanda, including the exclusive Deana Spa. Finally, Eduane Danilo dos Santos, the first couple’s eldest son, part-owns that spa and has various other investments, including in Angola’s newest bank, Banco Postal de Angola. In short, the business interests of the First Family are vast and touch on almost every area of the economy. Angola’s incoming president, Joao Lorenco. How will he deal with former allies? IRIN Picture. Can Lourenço go after his friends? Wealth in Angola may be even more concentrated in the hands of the few than in comparable countries. But its economy operates in similar ways to other places where state institutions are weak. Business deals and the exercise of power are typically based on relationships, and economic success comes down to whom you know. What happens then when the person you know leaves power? What will happen to the dos Santos fortune when the head of the family steps down? Some indication may come from the fact that, earlier this year, Lourenço promised to crack down on corruption in order to repair Angola’s crisis-ridden economy. This may indeed be his plan. But going after political comrades will not be easy for Lourenço. He has been part of the ruling party that has overseen corruption for decades, and he will know that any disruption to prevailing economic arrangements is likely to alienate important allies. Mozambique’s recent experience gives a sense of how such a scenario might play out. In 2014, Filipe Nyusi was elected on an anti-corruption platform. But since in office, he has been troubled by leaks connecting him to prominent fraud cases during his time as a minister. As in Angola, the Mozambican elite are connected by webs of patronage and business interests, making them vulnerable to exposure. Nyusi seems to be learning the hard way that even seeming to turn on a system from which you yourself have benefited can backfire. Lourenço has done similarly well from the system in Angola, though he is not notorious for his wealth, holding only a small share in Banco Sol with his wife. He has so far also avoided corruption allegations. However, should he pursue an anti-corruption agenda further, it is not implausible that stories might emerge as vengeful elites retaliate with their own revelations. Already reports are coming out alleging that Lourenço may have benefited from opaque business dealings. When dos Santos steps down later this month, it will be a momentous symbolic moment for the country after 38 years of his rule. But that will not mean the end of his control. The hand-picked Lourenço is generally depicted as candidate for continuity, while dos Santos can in effect continue on as president of the MPLA until at least 2021. This grants him considerable powers, including power to choose parliamentary candidates. Earlier this month, parliament also passed legislation safeguarding dos Santos’ picks at the head of defence and intelligence services. This makes it difficult for Lourenço to exercise control in matters of national security in the near future. Yet while dos Santos will continue to assert considerable political power, it is less clear what effect the transition will have on the family’s business interests. After almost four decades as president Jose Eduardo dos Santos is saying goodbye, but without leaving Angola. IRIN picture. The blunt takeover of the country’s post-war economy by the president’s inner circle has stirred opposition within the MPLA. And except for a recent proposal from the ruling party to make Angola’s President and Vice-President immune from prosecution for life, no legislative measures have been taken to protect the family’s assets. Although unclear what such protections would look like, and whether they would mean anything in the long term, we know from other cases that legal and social guarantees could be extended to family members. This was the case in Russia in 2000, when the newly-appointed president Vladimir Putin offered generous protections to outgoing president Boris Yeltsin and his family. Importantly, Lourenço will find it hard to govern without sufficient economic independence. Regimes need resources to survive, and as the new president seeks to consolidate his power base, he will want to carve out business opportunities for himself and his supporters. Because of the sheer scale of the dos Santos’ financial interests, it is difficult to see this happening without it being at the ruling family’s expense. The dos Santos clique is no doubt aware of this. They will know that the informal guarantees that made their accumulation of wealth possible could be overturned at any time. It would come as little surprise therefore if a large proportion of their assets have already been transferred abroad, far beyond the reach of Angola’s internal politics.